Today’s the day. You ready, Denver? 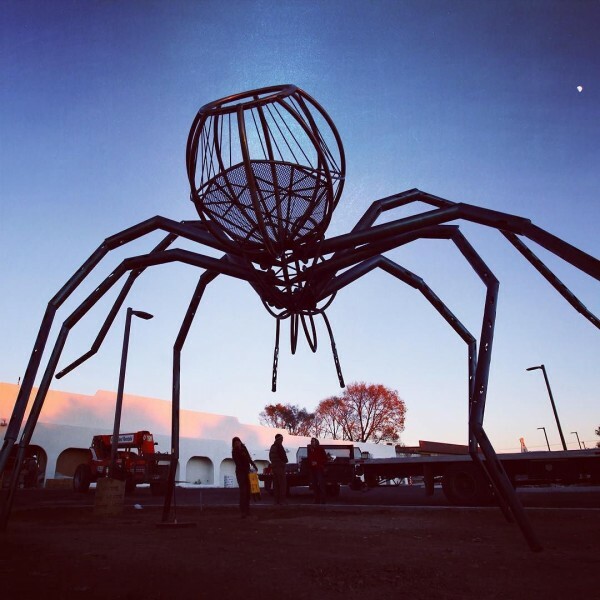 Meow Wolf has arrived! No, no, not the BIG Meow Wolf, the massive installation three times the size of Santa Fe’s House of Eternal Return that is going in downtown, just south of I-25 and a mile or so from Mile High. That one will be mindblowing, but it’s not scheduled to open until 2020. Today you get just a taste: the dark ride called Kaleidoscape, opening at Elitch Gardens. The DENVER POST got an advance look. Sadly, I won’t be there myself to experience Kaleidoscape on its opening day. (My minions have me chained to a desk writing). But I will get up there eventually, have no fear. And knowing the gang at Meow Wolf, I have no doubt the ride will be like nothing you’ve ever seen before. So go forth, Denverites (Denverians? Denvites?) and take a trip to another world. 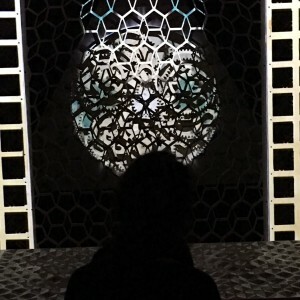 [[ Comments permitted… but ONLY about Meow Wolf and Kaleidoscape]]. Meow Wolf is conquering America, city by city. First came Santa Fe, in 2016. Las Vegas is scheduled to open next year, in 2019. Denver will follow, in 2020… and Denver will be HUUUUUUUGE. And now, the latest announcement: Meow Wolf is moving on the nation’s capitol, Washington D.C.
Lots more out there, if you need further details. The story is everywhere. 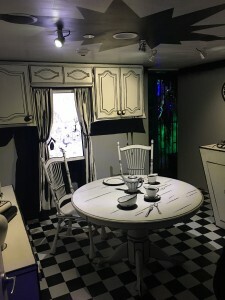 Never been to Meow Wolf? Come to Santa Fe and see what you’ve been missing. In the meanwhile, however, MEOW WOLF: ORIGINS, the documentary about the group’s colorful history and exciting future, debuts today on screens from coast to coast. Check it out, at a cinema near you. (That’s Las Vegas, Nevada, not Las Vegas, New Mexico. Which is not to say that Las Vegas, New Mexico is not a cool place in its own right). Hot on the heels of the unveiling of Meow Wolf’s expansion to Denver, we’re thrilled to reveal that a third permanent exhibition is planned, this time at Bugsy Siegel’s favorite oasis in the desert. The new Las Vegas exhibit will be twice the size of the original here in Santa Fe (though smaller than Denver’s), and will anchor the city’s new Area 15 development. 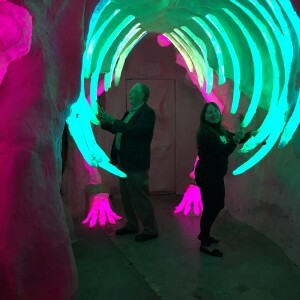 It’s hard to stand out in a city that boasts a castle, a giant pyramid, a Roman palace, a circus, and a volcano that erupt on the hour, but knowing the talents of the men and women of Meow Wolf, Area 15 should be equal to the challenge. It’s true… Meow Wolf is taking over the world. I blame those Charter Agents. It’s been in the works for more than a year, but today the news became official. 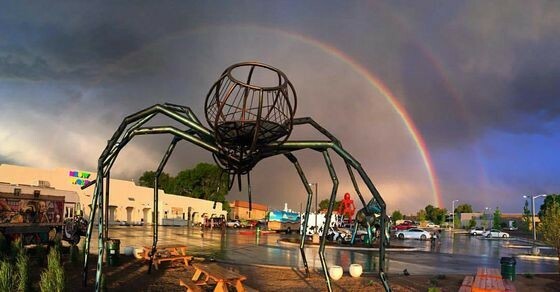 My friends at Meow Wolf are opening a second location, right up I-25 from us in Denver. The new Meow Wolf will not just be a duplication of Santa Fe’s House of Eternal Return… for starts, it will be three times larger. 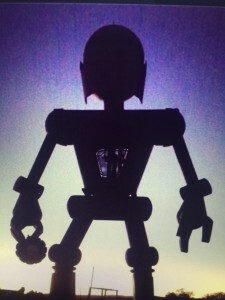 But expect the same mythos, the same imagination, the same off-the-wall creativity. Plans are for ground to be broken on Meow Wolf Denver later this year, with the complex opening in 2020. But… TICKETS ARE ALREADY ON SALE! 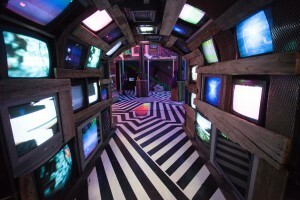 So if you’d like to reserve a space for the opening week at the new location, head over to https://meowwolf.com/ asap. And do come visit Santa Fe’s original Meow Wolf while you wait. 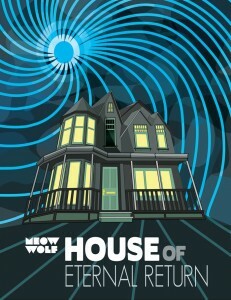 Watch this space for exciting Meow Wolf news in the new few weeks. Alas, alack, I gather that Life Is Beautiful only lasted the weekend (life, it would seem, must go back to being whatever it is the rest of the year), and the Meow Wolf installation was only temporary, so if you missed it, you’re out of luck. 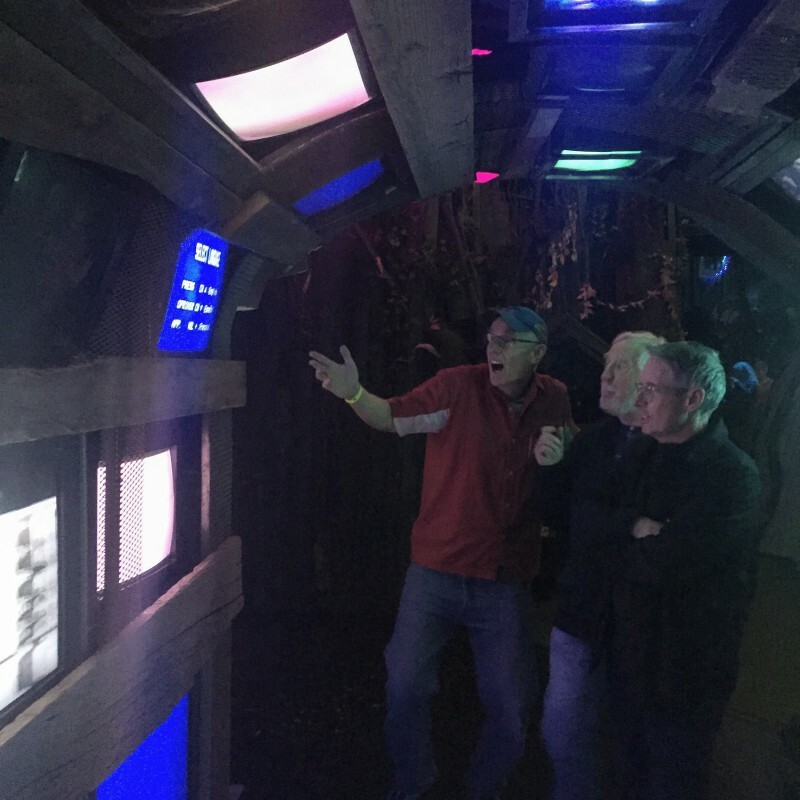 There’s still plenty of time to come to Santa Fe and see the original Meow Wolf, however. 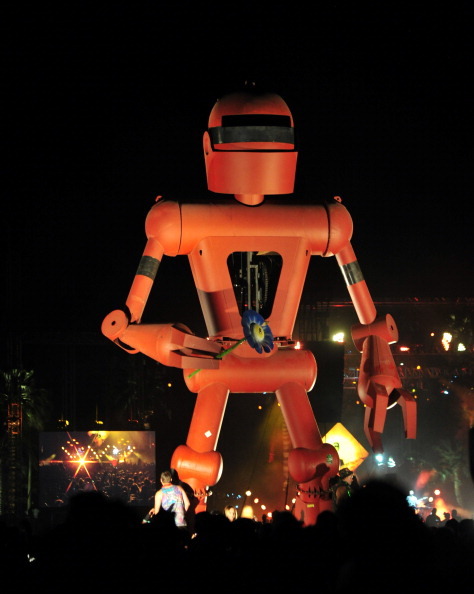 And if you can’t, well, cross your fingers — Meow Wolf may soon be coming to a city near you. Max Headroom visits Meow Wolf. We had a great time last week when H.P. Lovecraft returned from the grave to visit us here in the Land of Yig Enchantment. 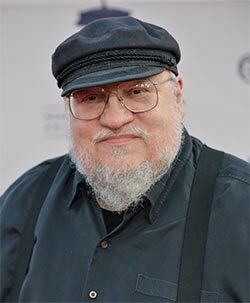 If you missed it — shame on you — well, it turns out that HPL recorded a couple of segments of his “Ask Lovecraft” YouTube series while he was here in town.